Water Safety Instructor Certification Courses. Lifeguard-Pro certifications are accepted or approved by all 50 U.S. states across the nation and over 30 countries around the world. 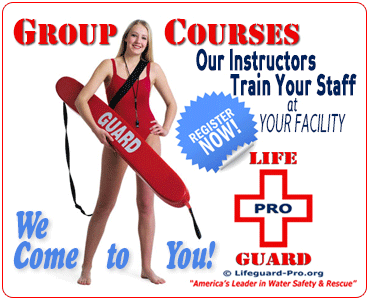 Lifeguard-Pro is the widely recognized "World Leader in Water Safety & Rescue Training". World's Most Convenient Water Safety Instructor Certification Courses. Lifeguard-Pro is dedicated to reducing the number of deaths by drowning worldwide. To accomplish that goal, we made public aquatic safety training more convenient and available than ever before. Water Safety Instructor certification is now as easy as 1-2-3.